Barbara Schroeder, age 76, of Kansas City, Missouri passed away on November 29th, 2018 at Research Hospital in Kansas City Missouri. A funeral mass will be held at St. John Francis Regis at 10am on Monday, December 3rd, with burial services immediately following at Forest Hill / Calvary Cemetery. The wake will be from 5 – 7pm on Sunday, December 2nd, with a rosary at 6:30pm. In lieu of flowers, memorial contributions may be made to St. John Francis Regis Catholic Church. Barb was born January 2nd, 1942 in Sioux Falls, South Dakota. Barb grew up in Salem, South Dakota. She attended St. Mary’s Catholic school. She worked at “Dakota National Bank” in Salem. Barb married Gerald(Jerry) Schroeder in 1964. Barb and Jerry moved to Kansas City, Missouri where Barb became employed at Grand Avenue Bank. Barb was a stay at home mom for many years before becoming employed at Archbishop O’Hara High School. 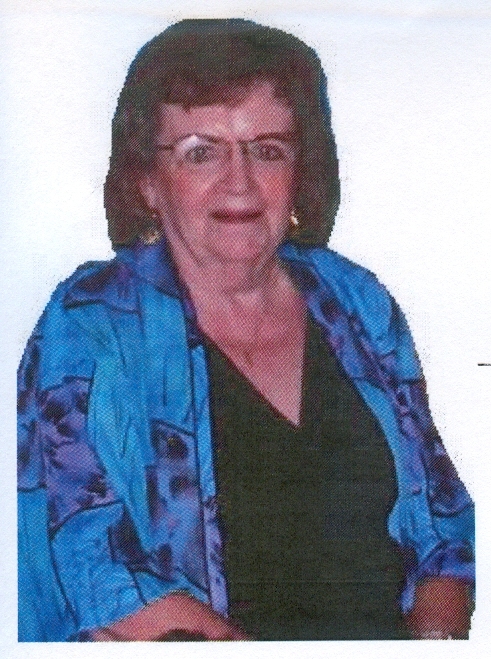 Barb worked as librarian and attendance secretary at O’Hara High School for 27 years before retiring in 2006. In retirement Barb enjoyed spending time with her grand kids, friends, and volunteering with many activities in the St. Regis community. Barb was preceded in death by her parents, Don and Christine Sullivan, sisters Patty Sullivan and Pam Anderson. Survivors include husband Jerry Schroeder, children Bridget Cheatham(Eric), Jenifer Gouger(Tim), Gretchen Maschger, Chad Schroeder(Jenée), brother Roger Sullivan(Vicki), brother-in-law Dan Anderson, grandchildren Dawniel, Devon and David Maschger, Thomas and Theresa Gouger, Mitchell Cheatham, Jay and Leneia Schroeder, and great grandson Skylar Dodson(Maschger). Visitation will be 5-7PM, Sunday, December 2, 2018 at St. John Regis Catholic Church, 8941 James A. Reed Rd. Mass of Christian burial will be 10AM, Monday, December 3, 2018 at St. John Regis Catholic Church; burial in Calvary Cemetery. I will forever remember our times at AOHS. You truly were a beautiful soul and never lost one student! Rest in Heaven my friend, Marshall Dillon. Peace and Blessings to the family. Barbara was such a caring and strong person, and will always remember her as someone who was there for you, whether it was at her days at O'Hara, or her being there for my mom when my dad was in failing health. She was gone too soon, and we are praying for her and her family for peace in this difficult time. Aunt Barb, I will always remember your humor and kindness, toward me and my whole family. All my love and sympathy for Jerry and family. We are so sorry for your loss. Our deepest condolences to your family. Keeping you in our thoughts and prayers. Aunt Barb was such a kind woman with a big heart. I have so many special memories of her. She always had a big, warm smile, a kind word and a way of welcoming everyone in. She is going to be terribly missed. Sending love to Uncle Jerry, Bridget, Chad, Jenifer, Gretchen, her grandkids and everyone else who loved this wonderful woman. I am so sorry to hear that your Mother passed away. She raised a loving and caring family. Gretchen I am so sorry to hear about your Mom. I'm sure she was a wonderful person as you her daughter are such a sweetie. I know right now your heart is hurting but God got you girlfriend. Love Ya your friend Sharon Gladney. Dear Jerry and family: I was very sorry to hear of the passing of your beloved Barbara, be assured of my masses and prayers for her and for all of you as well. Fr. John Gouger, C.Ss.R. uncle of Jenifer and Tim Gouger. St. Mary's Parish Whittier, Ca. 90602. Please accept my families sympathy and prayers on Barbs passing. She was a wonderful person who lived her faith. We are so sorry to hear of Barb's passing. She was such a welcoming and inclusive person. People might not have known her name, but everyone knew her face because she was such a presence at St. Regis. She will be greatly missed by the entire community. Prayers for Jerry and family.